We’ve hit half term. I make that sound as though it was an easy thing to do, like I sprinted to the end of the week and gave it a ‘high five’. And then it was Friday. Lovely, lovely Friday. 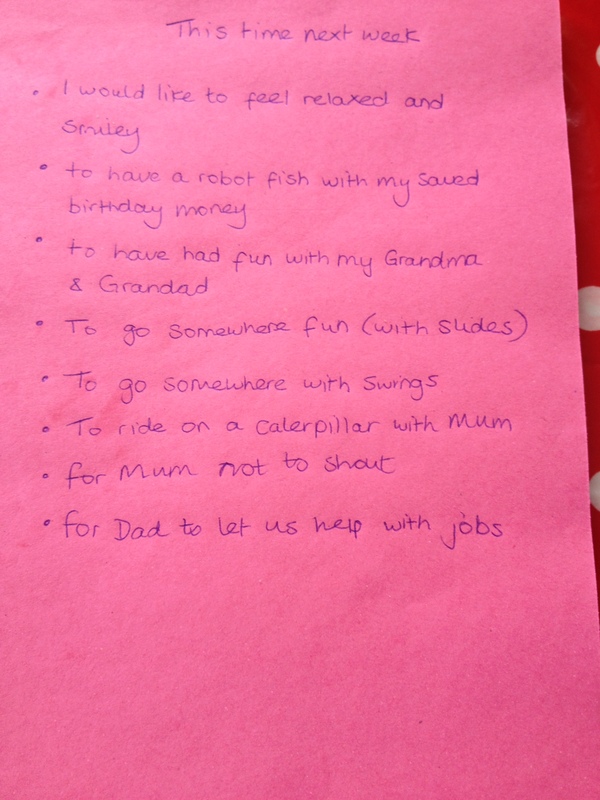 On Saturday morning, after breaking every single one of those resolutions, I sat down with the children (2 oldest) and got them to make a list of what they wanted to do in their week off. After explaining that we couldn’t go to France, Disney World or do anything that involved riding dolphins, my eldest set about the task. Lots of pen chewing and face screwing later he produced his list. My heart sank. 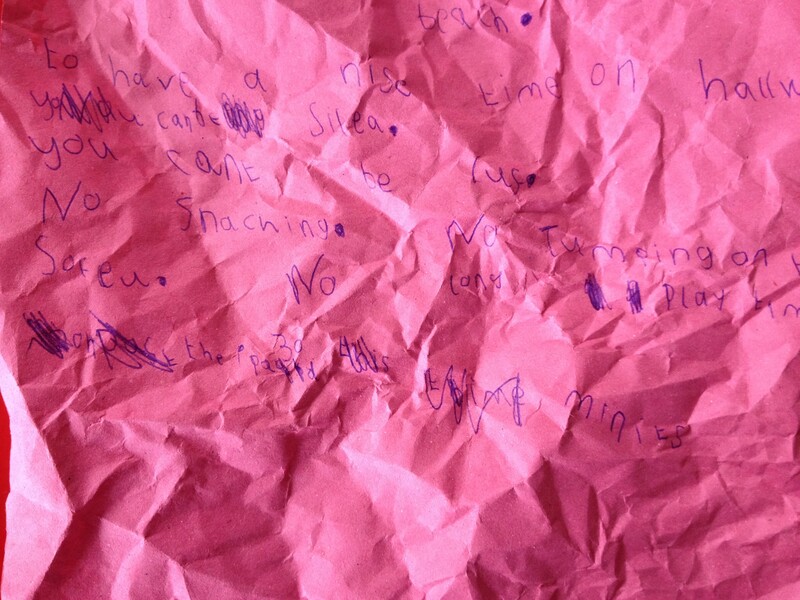 He’d written a list of rules ‘no snatching, no being silly, no jumping on the sofa…’ it went on. It was supposed to be a wish list of things they wanted to do and what he ended up doing was giving me a list of his worst crimes (well not his worst, but still). I screwed up the list and got a fresh piece of paper. It was altogether more fun and got rid of all the horrid shouty mum phrases that appeared on the first one. I will have written something every day, even if it’s something short. I will have laughed until I am at risk of – a) dying b) pelvic floor muscles giving in c) until tea comes out of my nose – at least 4 times. I will have spoken to, seen or even better have had a drink with those friends who drag me through the long days at work and listen to my many moans. I will have had some time off with my husband. I will have complimented his tiling skills with devoted sincerity. I will have had 2 precious days with my parents: taking photos, drinking tea and consuming the Yorkshire wit, sense and steadiness they always seem to bring. I will not have spent the week criticising the job I do and appreciate I do the best I can – I am my own worst enemy! I will have read something other than students’ essays and exercise books. I will let them get the Play Doh out… once. I think we call it ‘Tuesday’!